Pluckley’s Nathan Heathcote is ready and raring to go for his Millers Oils GT4 Supercup debut next weekend at Brands Hatch. 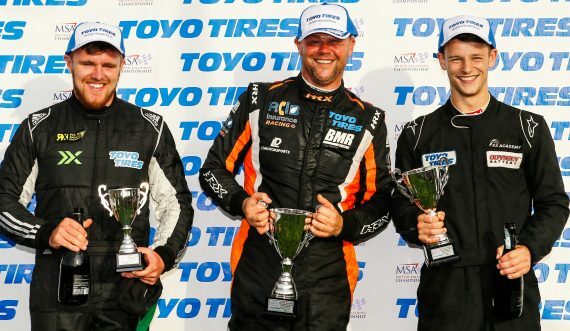 Heathcote has made the switch from rallycross to circuit racing for the coming season and he is clearly relishing his new challenge. Speaking to Kent Sports News, an excited Heathcote said: “My main reason for making the switch this season to circuit racing is that I feel that there isn’t much potential for me to get to a top level in rallycross until it goes electric. Nathan was recently on track with his Century Motorsport team for the media and test day and it was a day that he learnt a lot from. He added: “My first test day with Century Motorsport went great. I felt at home with the team from the start which made my decision to make the switch to circuit racing a lot easier. The GT4 series is set to be one of the most competitive and Nathan knows he will be the underdog racing against some more experienced competitors. With this new challenge we asked Nathan whether he would miss the rallycross challenges and racing. He said: “I will definitely miss rallycross, I have had some great memories in the sport and still feel it’s the most fun you can have driving a car. It’s just unfortunate that I have come to a stage where I need to keep pushing on with my career in racing and have had to make the change. We asked Nathan if he is setting himself for his first season in circuit racing and it is clear being part of the TOCA package is massive for him. He added: “My target this season is to win the AM class and hopefully have a few battles towards the front of the grid. This entry was posted	on Tuesday, April 2nd, 2019 at 9:00 am	and is filed under Featured, Motor Racing. You can follow any responses to this entry through the RSS 2.0 feed. Both comments and pings are currently closed.